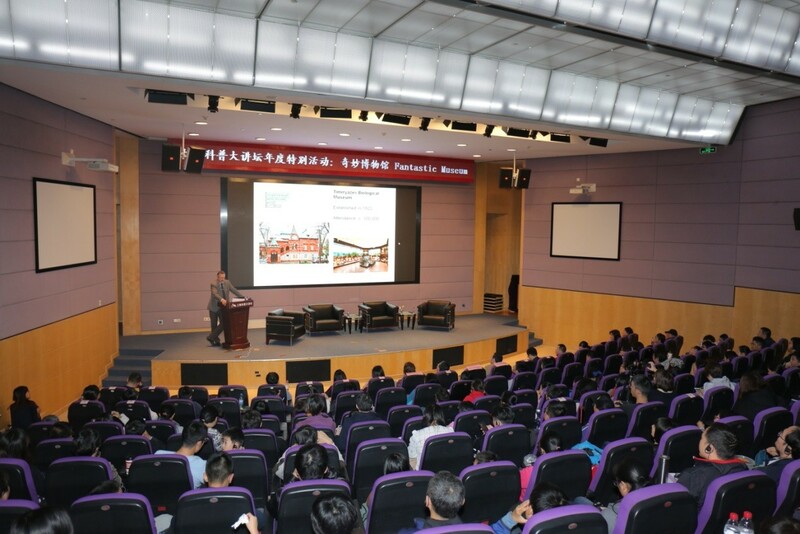 On November 17, 2018, the annual special event "Wonder Museum" of Shanghai Popular Science Forum was held at Shanghai Science and Technology Museum and it was also one of the parallel sessions of the 4th Shanghai International Nature Conservation Festival Celebrity Forum. Three museum experts, namely, Christina Tessier, curator of the National Science and Technology Museum of Canada, Mikhail Kalyakin, curator of the Zoology Museum in Russia, and Mark Subbarao, president of the International Planetarium Association and director of the Space Visualization Laboratory of the Adler Planetarium and Astronomy Museum, showed the audience the amazing world of museum. The three guest speakers are from three world-renowned venues in the fields of science and technology, nature and astronomy, which coincide with the "Three Museums" of SSTM (Science and Technology Museum, Natural History Museum and Planetarium).